Never miss your target again with the help from the Mark AR MOD 1 3-9x40mm Firedot Riflescope from Leupold. This waterproof scope features a one inch maintube and uses the quantum optical system as well as a multicoat and tactile power selector. 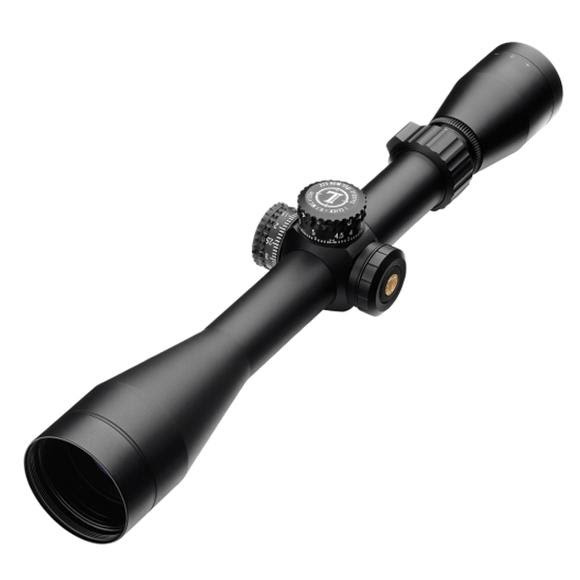 Leupold built this scope to satisfy the demands of the most exacting hunters, shooters, and competitors. Light reflecting off lens surfaces diminishes image quality. So Leupoldï¿½ engineers developed Multicoat 4, our own proprietary lens coating system to keep image quality pristine. Multicoat 4 greatly increases the amount of all available light that reaches your eye, while at the same time, it minimizes the reflections of the sky on the outer eyepiece. You&apos;ll never be able to control the light, but with Leupold&apos;s Multicoat 4, you can always make the most of it. While we still waterproof other optics with bone-dry nitrogen - technology pioneered by Leupold - Select models feature our exclusive, proprietary Argon/Krypton gas blend. Its advantages are two fold: it nearly eliminates the effects of thermal shock, and the Argon/Krypton molecules are significantly larger than nitrogen molecules, reducing the diffusion of gases sealed inside your scope even more than our proven nitrogen technology already does. We pioneered riflescope waterproofing, and now with Argon/Krypton we&apos;re exceeding the standards we set ourselves.